Looking to book Striking Matches for a corporate event, private party, fundraiser or public event worldwide? BookingEntertainment.com makes it easy and trouble free to check availability and pricing for booking Striking Matches or any other act in the business with absolutely no obligations. Booking Entertainment is the leading entertainment booking agency specializing in booking Striking Matches . We will be happy to help you get Striking Matches 's booking fee, or the price and availability for any other band, comedian or celebrity you may want for your corporate event, birthday party, wedding, fundraiser or public show. At Booking Entertainment, we put our 23 years in business behind you to help you get the best price for any entertainer, comedian or celebrity for your event. In addition, our team of seasoned industry professionals can handle every aspect of the entertainment portion of your event to make sure the entertainment runs flawlessly. If you are wondering how to book Striking Matches for your event, you can trust our Striking Matches agent to handle it for you. Find out why Fortune 500 companies, high net worth individuals and fundraising organizations come back to Booking Entertainment year after year for their entertainment buying needs. We can literally book any act for you anywhere in the world. 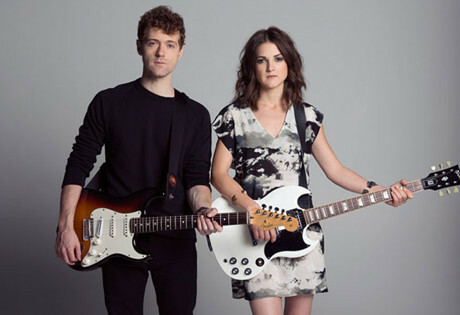 The country music duo Striking Matches was established in 2010, when members Justin Davis and Sarah Zimmerman were both studying at Belmont University in Nashville. One of the educational program’s features was to randomly pair musicians together to improvise instrumentally, and Davis and Zimmerman found that the sound they created together had definite potential. Zimmerman and Davis formed Striking Matches and began performing around town, and within a short amount of time the duo had created a significant buzz. Striking Matches released a self-titled EP in 2012, which features the songs "Trouble Is As Trouble Does," "Miss Me More," and "The Right One comes Along," the latter of which was featured on the television series Nashville. The duo recently made their Grand Ole Opry debut in 2012, but have since returned for sixteen additional performers. Most recently, Striking Matches was recognized as one of Country Music Television’s "Listen Up" artists, and the duo was also selected by Hunter Hayes to open the MTV Artist to Watch concert in New York City. Although Striking Matches has yet to sign with a major label, the duo continues to perform as often as possible and is preparing for a return to the studio for a debut album within the next few years. For more information on booking Striking Matches , please contact Booking Entertainment. One of our top booking agents will be happy to work on your behalf to get you the best possible price to book any big name entertainer for your upcoming public, private or corporate event worldwide.